Stockings ready? Wallets out? 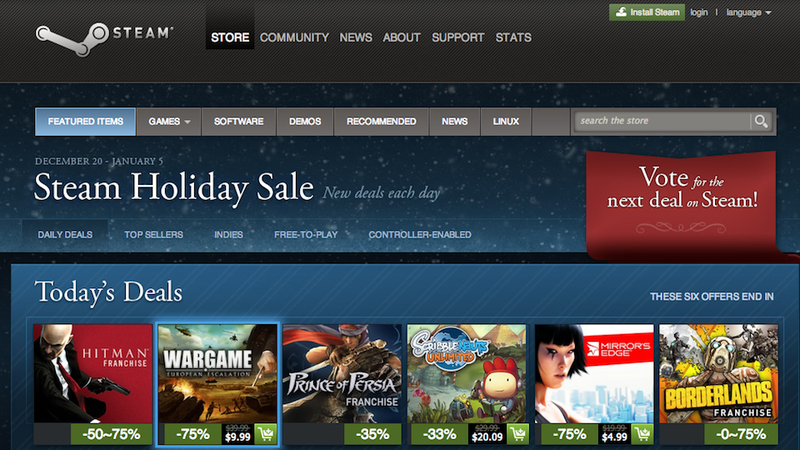 Steam&apos;s winter holiday sale has begun. We're several days in, and the current highlights include Dead Island at 66 percent off, DOTA 2 at half off, Dungeon Defenders and Train Simulator 2013 (you know you're curious) for 75 percent off, and more.